With social media, your audience are constantly growing. In fact there are approximately over 1 billion active users on Facebook, 300 million on Twitter, 400 million users on LinkedIn and 500 million active Instagram users as of the third quarter of 2016 according to Statista. This could go on as the months and years pass by. What does it mean? You should leverage the audience you have on each social media platforms to share valuable content about upcoming events, current discount promos and campaign activities with link directing them to your website. You can also share blog articles from your website to provide the information they are looking for. In this way, you aren’t just helping users find value from your post but also driving traffic to your website which can help your search ranking. Social media can generate tons of data about your customers in real-time thus giving insights about their behavior, personality, location, interest, lifestyle and impression about your brand. This data can be used to tailor your approach when communicating to them via social media platforms. You can also determine the platform where they are spending most of their time and so you can reach out to them using the same social media platform. Social media has becoming part of people’s daily routine from checking messages to updating status and uploading images. 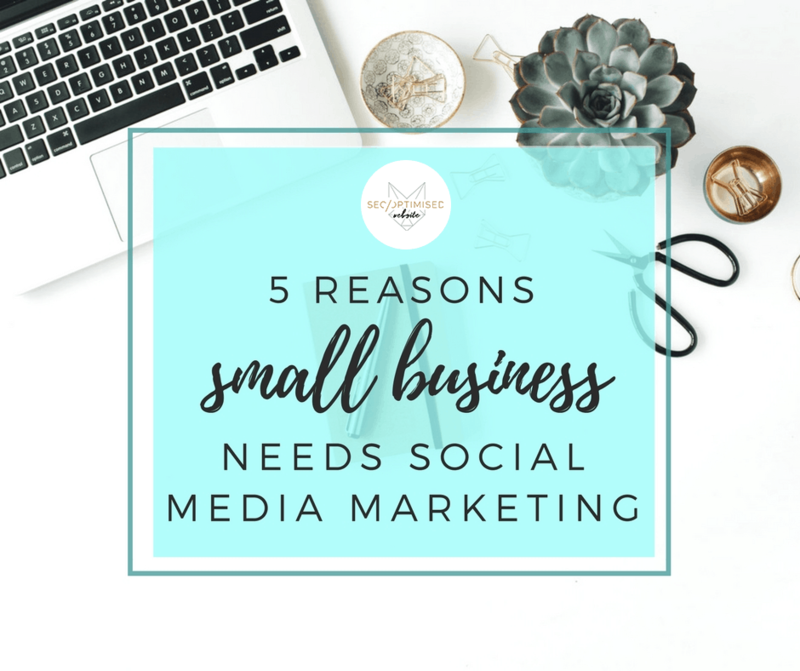 That being said, it is important for your small business to be on social media to effectively target your audience, know what’s the latest on the industry and check if your competitors are also on it. Stay ahead of the competition by knowing your customers better than others and utilising the data to provide better services and experience to them. The connection you have with your potential customers on social media is an opportunity to engage with them and showcase your customer service. Answering inquiries and responding to comments quickly will ensure a positive engagement and help establish customer rapport. You will also show them how you care and value them as your followers. It’s difficult to earn the trust and love of your customers especially if it’s their first time to hear about you. According to Forbes magazine, “you can take customer relationships to the next level by allowing them to share their story on your timeline, leverage social media to provide support, make it customer-centric, do not focus on product, encourage feedback through online contests and tap into social media though it’s new in your niche. Other than being a place to connect with customers, social media websites also offer a way to advertise businesses. Most of the major platforms (Facebook, Twitter, LinkedIn, Pinterest and Instagram) offer sponsored ads to help you appear in front of your target customers and gain broad visibility. This is an inexpensive way to promote your brand and share contents with targeting options allowing you to reach the right audience at the right time. Most of these ads can be setup with a custom budget meaning you can control how much you are willing to spend for a particular campaign. This social media marketing technique is also an effective lead generation method for your business to gain prospects which can potentially convert into customers. Creating content that sparks engagement and sharing them to social media website is another way of enriching your brand. Sharing valuable content to your audience may result in getting more likes, comments and shares thus making your brand more visible on social media. Your content can also establish new connections with potential customers and may open possible partnerships to business leaders. Content sharing doesn’t only improve brand awareness but also drives more traffic your website. Plan your social media strategy today so you can kick-start your first marketing campaign. Be sure to understand your customers, their needs and when they need it so you can tailor your solutions based on those data. Do not be afraid to experiment on different posts or images, videos, and blog links as your analytics can tell which is effective for your business and not. You can find several social media agencies on the internet if you plan to outsource the tasks.